Back in 2007 a little movie came out called "Transformers" which would change our blogging careers forever. In front of that movie was a trailer that looked like nothing we've ever seen before. It showed us just enough to captivate the entire internet and turn "Cloverfield" into a world-wide sensation. And in turn, we became one of the premier sites for Cloverfield related news and rumors (cloverfieldnews.com). And of course with rumblings of a possible sequel, we knew we had to continue delivering the news. So things have started rumbling and the rumor is that a new trailer is to appear before Iron Man 2 for a secret J.J. Abrams project called "Super 8" and that's how this site was born. We will keep you updated with all the information regarding this project and hopefully it doesn't turn out to be something stupid. i also did some digging , we found the same stuff. i copied more images from the clip. also put up another trailer with the info. Currently it is accessing sector  with 61767 of 134640 accessed and the time is 5:47 PM ET. When added to the current time of 5:47 PM on May 9th the time and date are 11 PM Eastern Time on May 13th. ….During the Second World War, there was a training camp and an aviation school for the US Air Force in the vicinity of Bonham, as well as a prisoner-of-war camp for Germans and German soldiers. Parts of the camp can still be visited today. It may be nothing…but it kinda fits. Has anyone just hit the print documents tab behind the pdp screen? i found something very interesting about the guy that said he had a firefight with the aliens in NM. 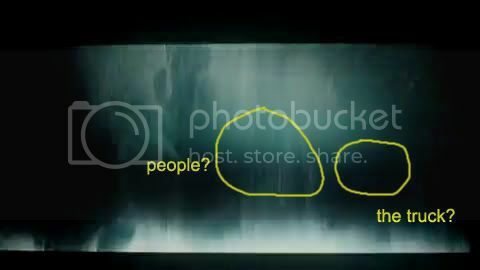 you dont need to watch the trailer again to know that that alien or whatever was busting out of a what? A RAILCAR! let me know what you think! you also might want to post this info! Looking through a few screen shots from a post on here and couldn’t help but notice some sort of family portrait and what looked like the truck. Also, a sort of shadow in the upper left corner. Dunn, there appears to be a man in a suit and tie in the 116890.jpg. In the simulator part of the website, If you go to “Super Space Store” and click “blast off”, a screen will pop up. If you slide the “Function Switch” to the right, there will be static at first, but if you wait a few minutes, you will hear radio chatter. “Proceed with your mission”, “you are clear to launch probe, data dropout minimal”, and “…Bravo Tango Delta….please confirm visual contact” can be heard. I hope this helps. Hey, ive been reading ur posts and they have been a big help. A couple months back (right around when the RP website launched) i started a Facebook group called “the Clover 8 Project”, which is basicially simular to ur website only in facebook. Unfortunately, we only have 11 members. But i thank you for ur post because i wouldve been lost without them. I hope to find new stuff to help u out. Thanks. Michael Giacchino to score Super 8! Dolphin—–YES! The pictures in the lens on the “actual” superbowl trailer are completely different than any of the other trailers. I have it in my DVR and can replay back in HD. I’m trying to take snapshots but they are not coming out good, even with 1080P!! How do I get them posted once I get them clear enough to see whats in the lens? would it be possible to come up with a list of facts about Josh Minker?